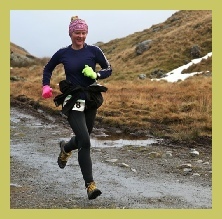 The club supports 2 fell races each year by volunteering . There is also an ad hoc route for the strong of leg - the Gorphwysfa Challenge. This race starts from the Youth Hostel at Pen-y-Pass at about 10:00 am on 1st January, each year. As might be expected from the date and time this is a low-key event. The weather usually provides the main challenge, unsurprisingly given the altitude and time of year. Be prepared for really foul weather and conditions underfoot. Please register before 10:00 on the day. Look at the Weather Forecast for Snowdonia before coming! With luck you might even be able to see what the Summit actually looks like today. Do you want a good day out in Snowdonia? Why not have a go at the Gorphwysfa Challenge, about 17 miles of rugged countryside and over 5000 feet of climbing. Can you beat our fastest time set up by Jayne Lloyd 3hrs 41mins 08 secs? Start Nant Gwynant car park 627506. Record starting time. Touch the trig point on the summit of Snowdon 610543. Descend PYG track to Pen y Pass 647556. Ascend Miners Track to finger stone 608549. Turn right to Touch trig point on Carnedd Ugain 611552. Descend to finger stone 608552. Join Llanberis track and descend to Llanberis. Care crossing main road to finish in front of Royal Victoria Hotel 584596. Welsh 1000m Peaks Race takes place in June. It has its own website with all race information.